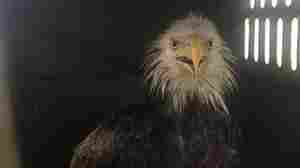 July 3, 2017  The "stressed" bird has stabilized and officials believe it is one of those under constant "eagle cam" surveillance in southeast Washington, D.C.
Freedom And Liberty: Month-Old Eaglets Get Names In D.C.
April 26, 2016  More than 36,000 online votes were cast in the competition to name the two young eagles, the American Eagle Foundation says. Names such as Cherry and Blossom lost out. 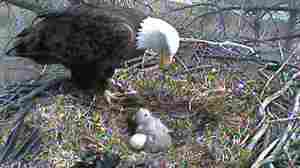 March 20, 2016  "Mr. President" and "The First Lady," a pair of mated bald eagles in the National Arboretum, are officially raising two eaglets: their second egg hatched overnight. 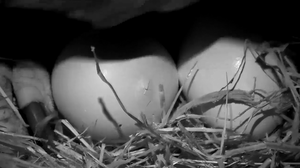 March 19, 2016  The American Eagle Foundation confirms that there's a "pip in progress" on the second egg in the nest in the National Arboretum — meaning the baby bird is starting to break its way out. 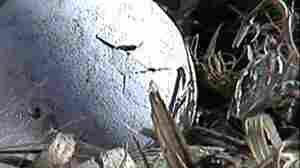 March 18, 2016  A little wing flap came more than 24 hours after the first "pip" — a hole in eggshell — was spotted, bringing sighs of relief and joy to the baby bird's fans. March 17, 2016  Pip pip, hooray! 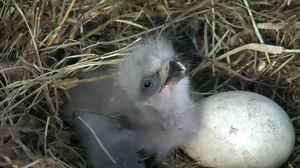 A hole in the eaglet's shell, called a "pip," appears to have gotten larger and the baby bird could emerge soon. March 15, 2016  The parents, known as Mr. President and The First Lady, have been incubating two eggs at the National Arboretum, and a baby could emerge soon. 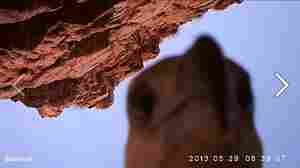 December 2, 2013  Watch what happens as a bird in western Australia lifts off with a camera and then pecks away at the lens after carrying the device about 70 miles. 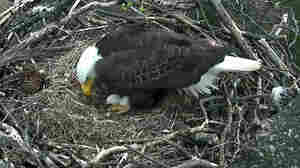 It's the latest in a series of fascinating scenes from eagle cams. 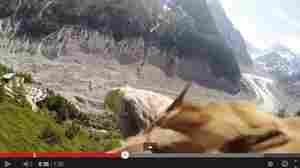 September 18, 2013  A video is quickly going viral because it purports to be the sights and sounds of what it looks like from the bird's eye view as an eagle flies above Chamonix, France. Someone appears to have put a small camera on the bird. 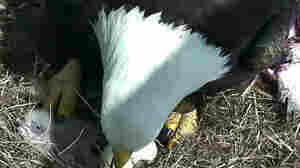 April 7, 2011  The incredibly popular Decorah Eagle Cam captured the scene last evening as the third egg in an Iowa bald eagle family's nest hatched. 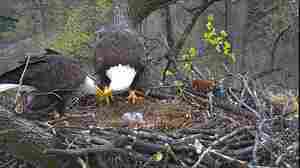 April 5, 2011  A pair of eagles and their two (soon to be three) offspring who live atop a tree in Decorah, Iowa, have been watched in recent weeks by about 11 million people thanks to a webcam. See for yourself.